I originally wrote this article back in August 2018, and decided to shelve it to focus on other work. Please pardon the dated references to Uldir. I’ve seen a lot of questions surface recently about diminishing returns — what they are, how they are (or aren’t) related to damage reduction, and what stats are (or aren’t) affected. Let’s talk about it. Be warned: we’re doing a deep dive into the theory of diminishing returns and damage reduction. Introduction Progressing new fights and instances is something that many high-end raiders take for granted. Progressing a new encounter outside top 10 world is just problem solving issues that you know the answer to. In this article, we are going to address everything that can be done to best prepare for progress and how to simplify raid encounters as much as possible. This is meant for players that are already familiar with their class as playing without high class knowledge will hinder your progress and your parties progress. In this Episode of Cat Chat we look at the upcoming new raid, Battle for Dazarlor, discuss new traits, how the 8.1 changes have turned out in regards to talent balance (Small Sabertooth Rant), and talk about what we think optimal setups will be. Apologies for the delay in schedule but with BOD on the horizon we should be back to the normal monthly schedule going forwards. Spreadsheet Link For proper Bloodtalons usage, you want to buff the abilities that will do the most damage per cast, also known as damage per execute (DPE). In a single target scenario, this is easily done by using it on your finisher and Rake (which will be your second most damaging ability). However, with more targets the priority will change. This spreadsheet will provide both the DPE and damage per energy (DPR) for all abilities including talents. Details and analysis on the changes to Guardian Druid for the upcoming 8.1 patch. Patch 8.1 is coming and with it Balance will see some changes to our Traits, Stats and Talents which I will go over. Traits and Stats: Mastery increased baseline from 11% to 12%, and Starsurge/Solar Wrath now scale fully at that percentage. Overall buff 4-6%, Mastery should now sim roughly equal to other stats. Great change now Mastery is not a dead stat and gearing becomes basically ilvl over all. 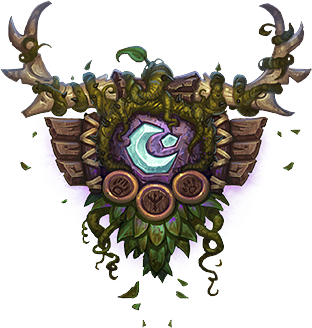 An open letter to the community about the state of Druids in patch 8.1. In this ChickenDB update, we go over the main changes in this update, including all-new tooltips, trait stacking and more! General Feral Opener Sequence Note about openers An opener is not a big part of your dps. To most this might be immediately obvious, but a lot of people tend to vastly overrate the importance of a good opener. With that caveat out of the way, here is the current reference opener which we intend to keep up-to-date through the expansion. If you have any ideas about how to improve this opener, feel free to contact me.